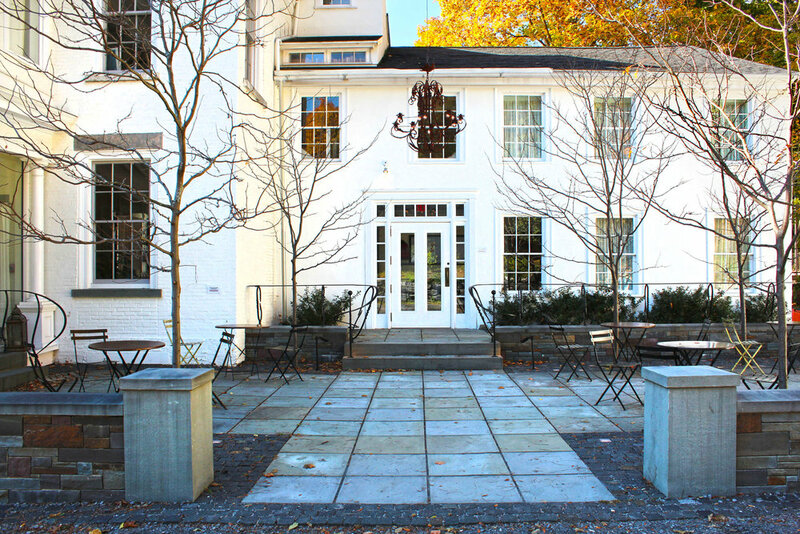 The Argos Inn is a beautifully restored LEED certified historic mansion near downtown in the City of Ithaca. The recently completed historic renovation showcases the building’s meticulously restored wood, stone, plaster, brick, and glass details. Whitham Planning & Design worked on the Landscape Architecture and design work with a similar attention to fine detail. The Project included the insertion of LED lighting on the ground of the Inn’s stone patio as well as the design of a cast iron railing along an outdoor corridor adjacent to the Inn. The Project also strategically placed trees and plants and created a multi-tiered outdoor gathering space for socializing over a drink or used for private events. Whitham Planning and Design’s playful touches in landscape architecture and design at the Argos Inn creates a special and dynamic outdoor space for patrons to admire and enjoy.